former available as cassette - lt.ed. 15 copies / SOLD OUT ! 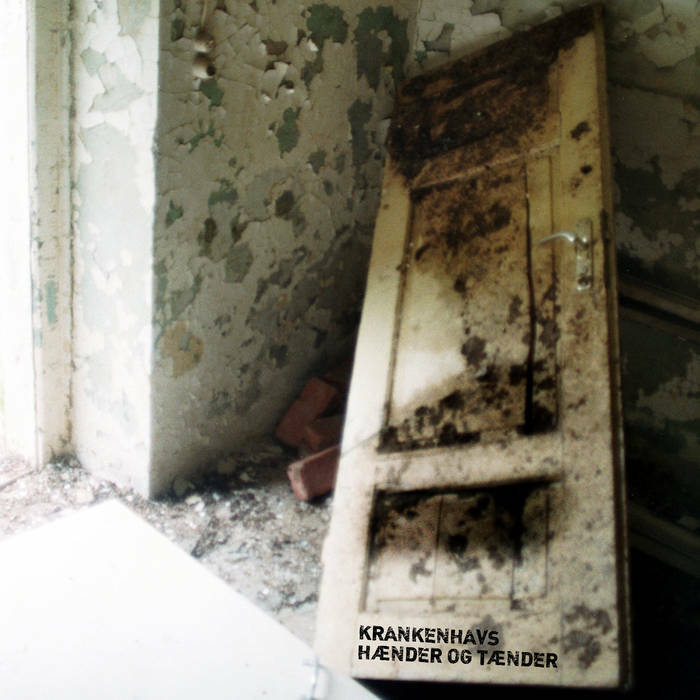 This noise music split tape brings us a 12-minute track by Krankenhavs and another side with two shorter tracks by the duo Hænder og Tænder. Harsh, but pleasantly colourful and rich in variations, this is not all about oscillators going crazy. Some miked-up metal and some electronic gadgetry are also in action here. “Schopenhamm” by Krankenhavs is a very rhythmic track, with a clear distinction between the beat and an ever-thickening wall of noise and feedback in the background. If subtle were the right word fir this music, it could be called a rather subtle production, but in any way it is certainly a piece in which listeners can make their own discoveries, as opposed to just enjoying being blown away by the physical onslaught of the sound. Hænder og Tænder offers us “Armed Cake” and “Nummer 7,” which use an unusual combination of metallic sounds culled from miked up objects and the sounds of electronic gadgets, which has a great charm due to the contrast of the fierce metal sound and the ‘harmless,’ toy-like electronic sounds. Especially on “Armed Cake,” it can clearly be heard that a ‘band’ is at work here, reacting to and conversing with one another, something which sadly is often not quite captured on other noise recordings.